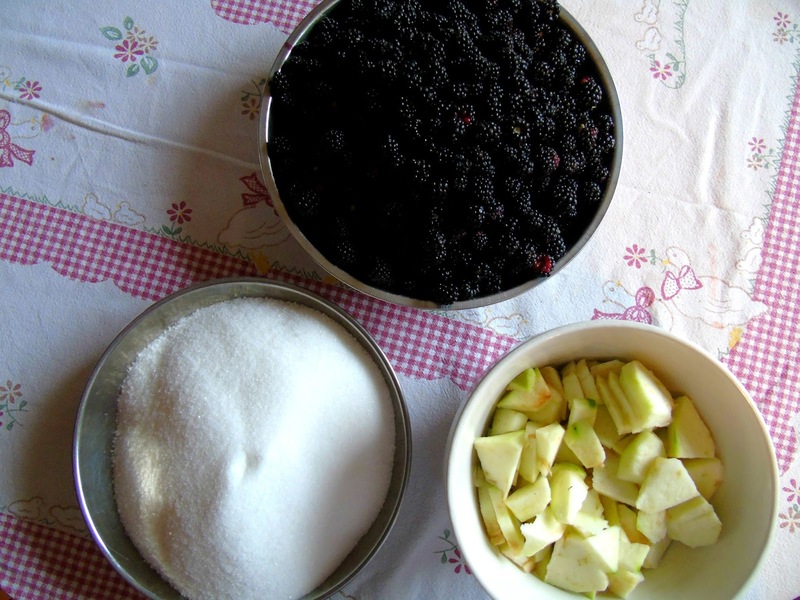 Firstly you should peel, core and slice the apples. 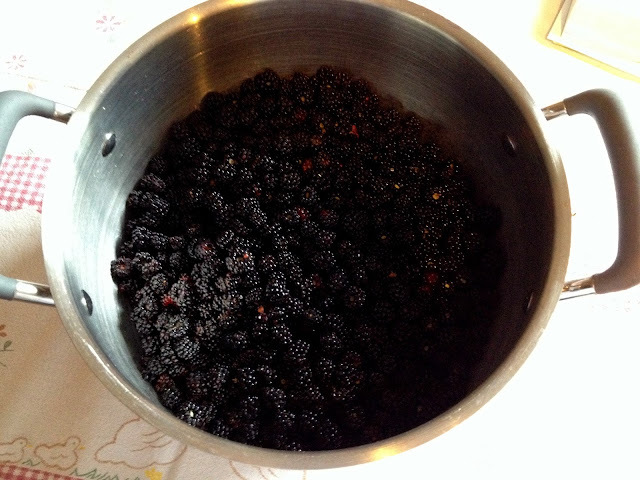 Place them in a stainless steel pan with 110 ml of water and stew until soft. 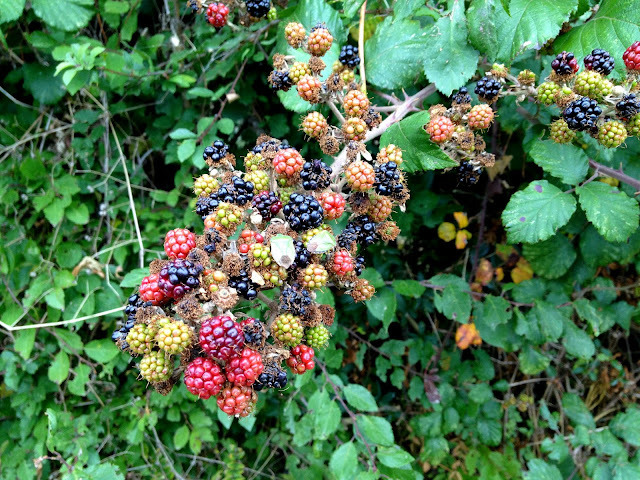 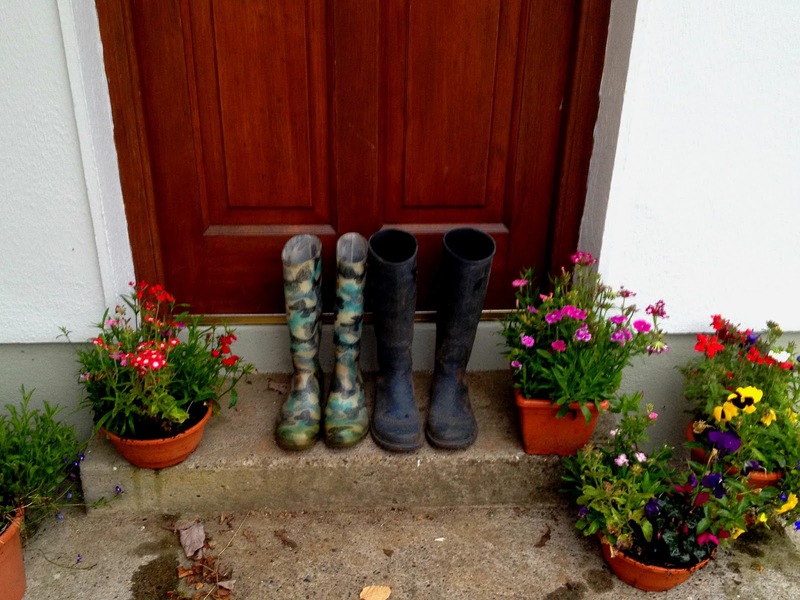 The blackberries should be checked to remove any over ripe or moldy ones (and any insect friends). 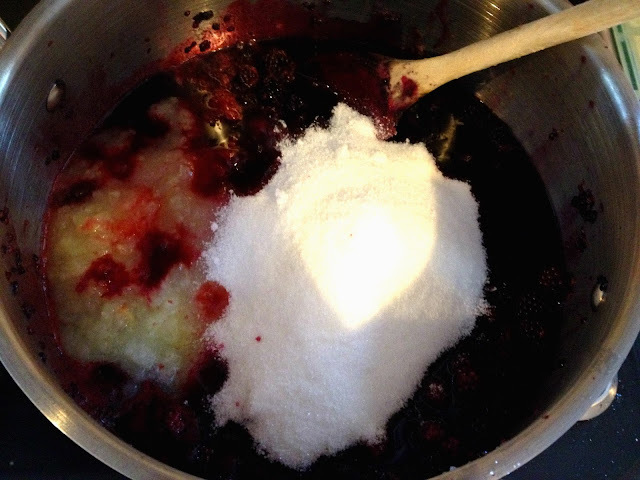 At the same time the sugar is heated in a low oven for 15 minutes until hot to touch. 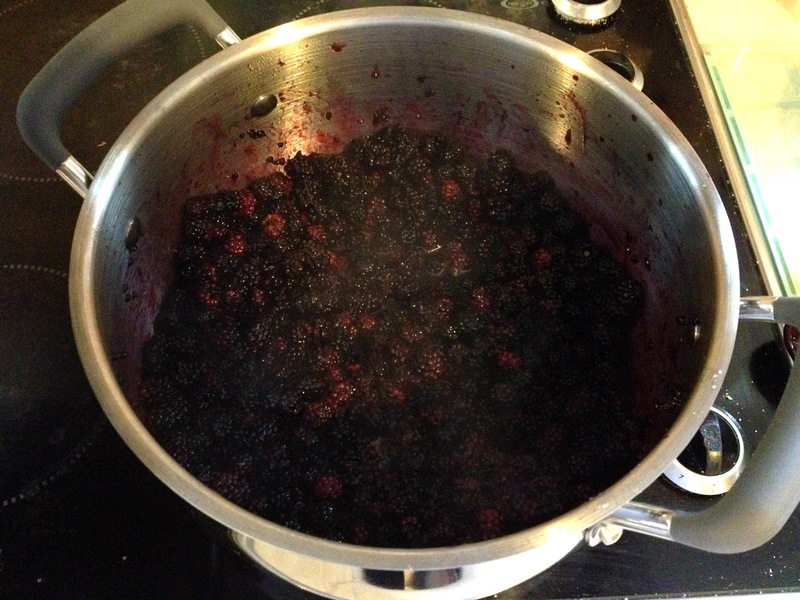 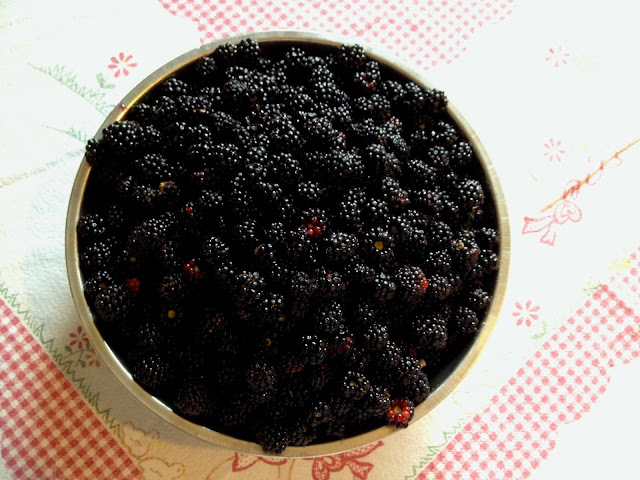 Add the blackberries to a stainless steel pan and cook until soft, stirring at intervals. Next add the stewed apples and the heated sugar. 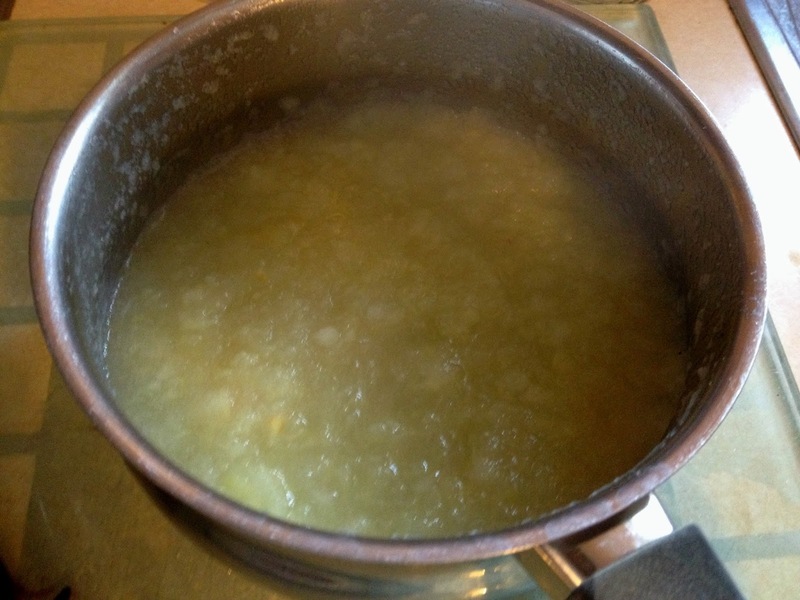 On a low heat dissolve the sugar into the mixture. 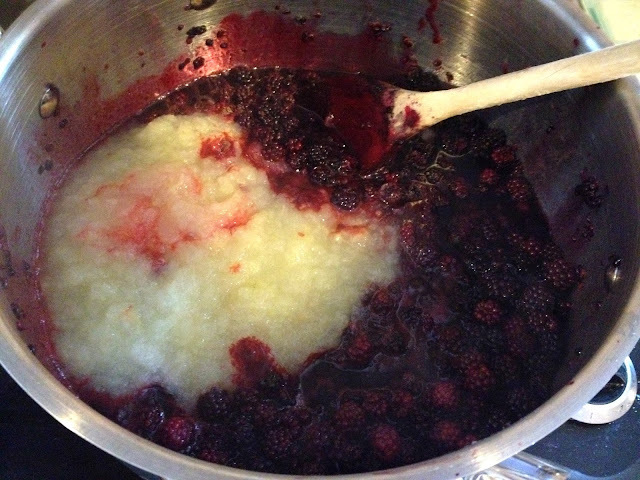 Bring the mixture to the boil and cook for 15 minutes. 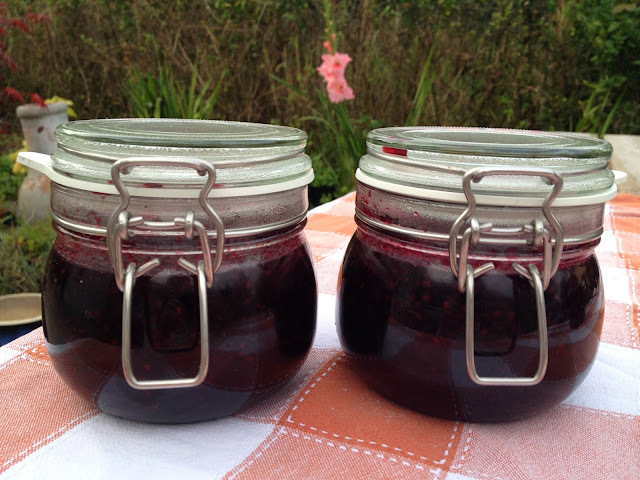 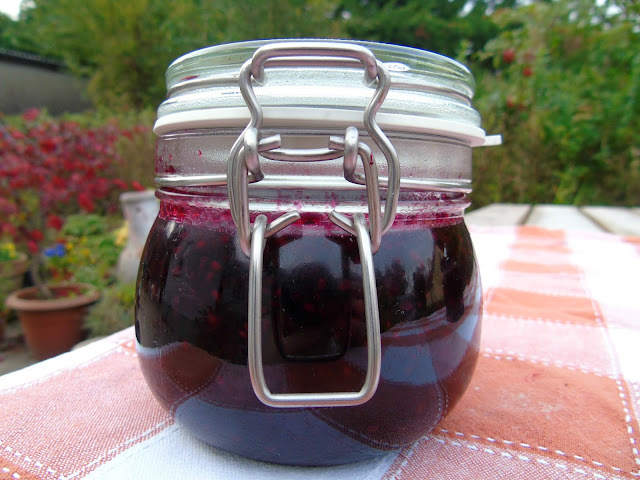 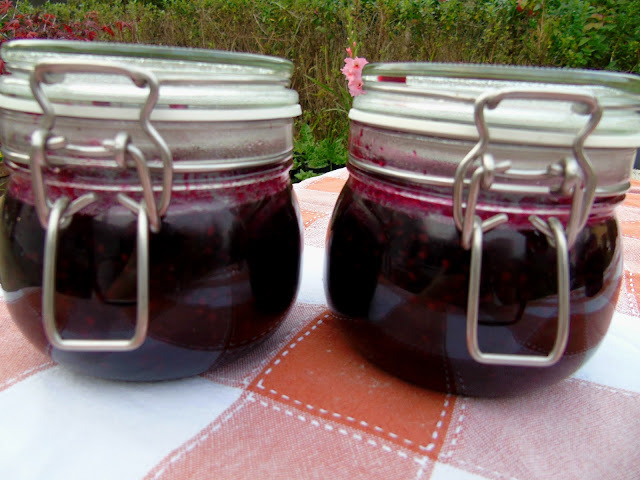 To sterilize your jam jars place them in the oven at 180°C for 10-15 minutes. 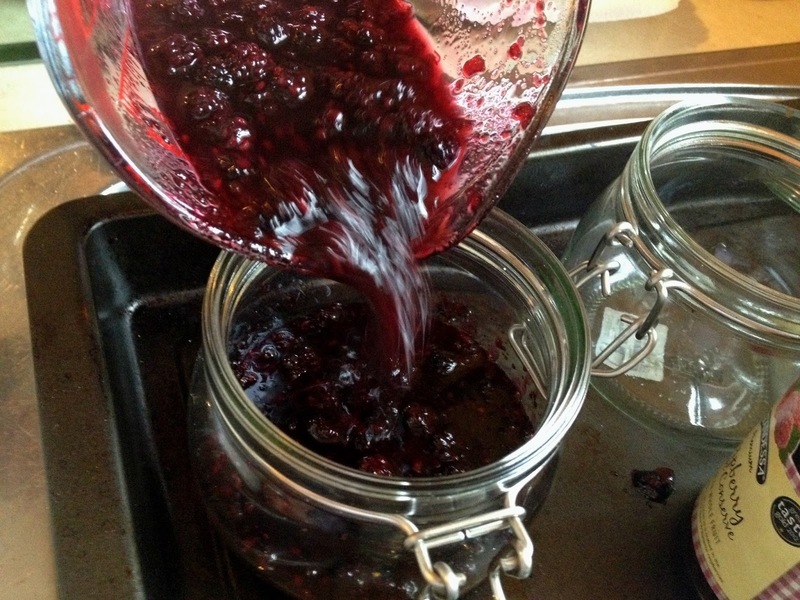 Pour into hot sterilized jars and leave to set. 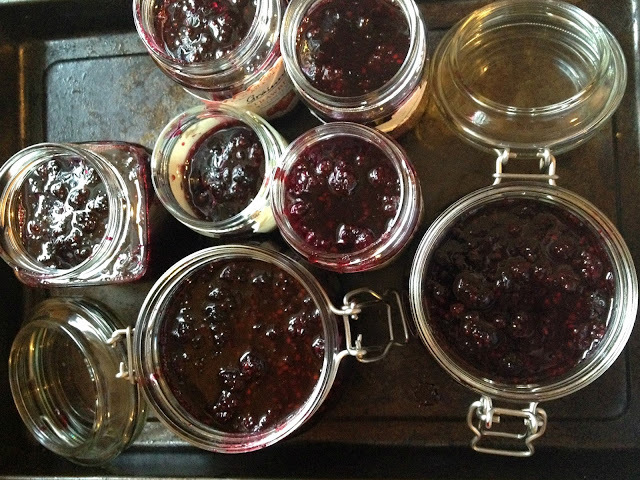 This jam won't be as set as the apple & plum jam due to differences in pectin levels but it is still really delicious. 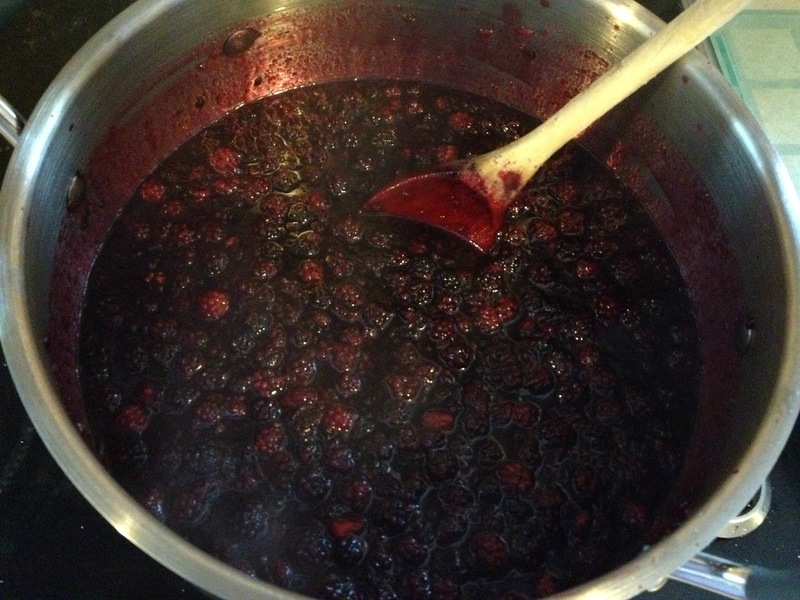 It would be perfect over icecream, yogurt or desert rice as a berry sauce. I've always fancied making my own jam, this looks soo good!